Ok, so it’s not officially rakeback, but it works in a very similar way, and the best thing about it is that you don’t have to do anything extra to get it. In fact, if you play at Bodog right now, you are earning points that can be converted to tourney tickets, putting some of the rake you pay back into your account! Sounds like rakeback, right? Bodog does NOT offer rakeback of any kind, but they have a points to tickets feature that rewards players based on their amount of play. Since the site awards partial points, even players at the lowest stakes have the potential to earn PTS for each hand. Keep in mind that you must contribute to a raked pot in order to earn points. What that means is that if you are not in a blind and fold your hand without putting any money in the pot, you do not get any PTS for that hand. Tournament players will receive 3 PTS for every $1.00 paid in tournament fees. So if you were to play in a $10 + $1 tournament, you would receive 3 PTS. In a $20 + $2 tournament you would receive 6 PTS, and so on. There are no special VIP tiers or points multipliers at the Bodog VIP Program. Every player will earn points at the same rate as described above. Now that you have accumulated PTS, you have the opportunity to spend them. If you enjoy MTT poker, you can use your points to play in tournaments. Some of the PTS tournaments offer a cash prize while others offer a satellite ticket into much larger tournaments. Your options range from 25 PTS for a special freeroll satellite to 16,200 PTS to buy a $162 $100K Guaranteed ticket. The standard exchange rate is 100 PTS for $1 in tournament tickets. 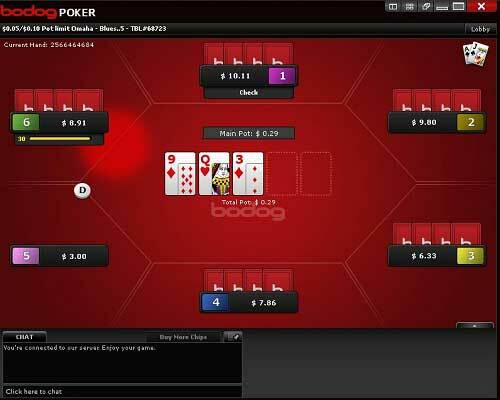 However, Bodog occasionally offers better rates for specific tournaments. 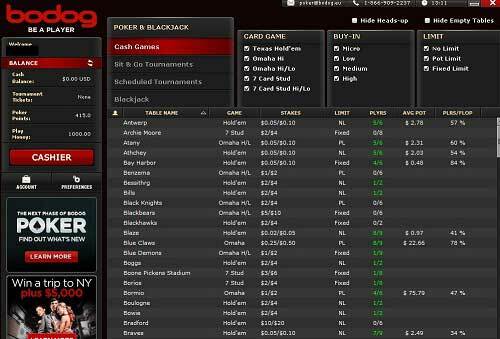 There are also a number of other benefits that Bodog rewards their frequent players with, such as entrance into freeroll tournaments. There are sometimes other uses for your points than trading them in for tourney tickets. For example, Bodog runs time-sensitive promotions wherein you can exchange your points for casino credits at a rate more favorable than normal. When exchanging your PTS for tournament tickets at the standard 100 points for $1 in tickets, you’ll be achieving a rate of return of 3% on your tournament play. The cashback percentage returned to you will vary at cash games because of the unique way in which Bodog calculates ring game points. The total return from cash games should be roughly comparable to that from tournaments. Although 3% Bodog Poker rakeback may not seem like a lot, it’s a little bit extra that will add together with your bonus and other Bodog promos to bump up the amount of value you get back on the rake you pay.